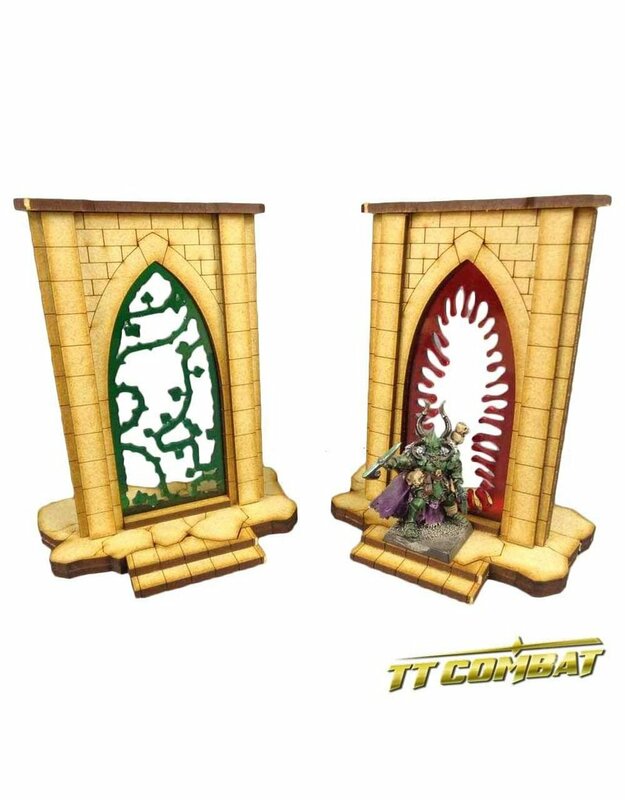 The Minor Riftgate Set 2 is made from 3mm MDF and coloured acrylic, easy to put together and looks great on the tabletop. Great scenery to use with AoS. Model supplied unpainted and will require assembly. We advise using PVA glue for the best results.